When spending time in Las Vegas, it can often seem the city is the center of the universe, what with its endless array of lights, activities and nightlife. In actuality, Sin City’s charms aren’t all Nevada has to offer, as a number of alluring natural landscapes reside a scant few hours away. The quaint town of Boulder City stands 26 miles southeast of Las Vegas, but its core sensibilities are as distant from Vegas as can be. The town of just over 15,000 is one of only two cities in Nevada that prohibits gambling (along with the city of Panaca). While gambling won’t be on the docket for your group, there is still plenty to do in the area from the Nevada State Railroad Museum, which features numerous locomotive exhibits, to Hemenway Park, home to a litany of bighorn sheep. The city’s claim to fame, though, is its close proximity to the fabled Hoover Dam, which resides eight miles away. The Hoover Dam was constructed between 1931 and 1936 and is considered by many one of the Top 10 construction achievements of the 20th century. A National Historic Landmark, the dam is the highest concrete dam in the Western Hemisphere, standing more than 725 feet above the Colorado River. With 17 generators producing 4 billion kilowatts of electricity per year, it’s also one of the country’s largest hydroelectric power facilities. 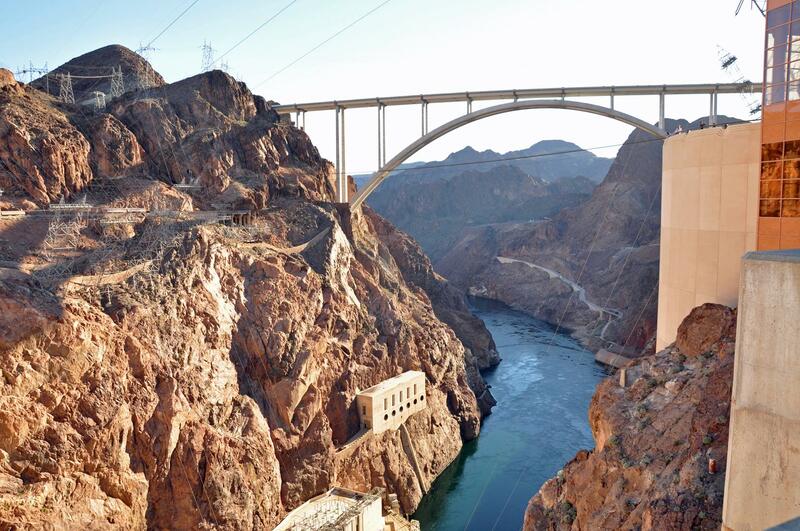 Visitors can drive across the Mike O’Callaghan-Pat Tillman Memorial Bridge and enjoy spectacular views that were once only available by helicopter. Valley of Fire, Nevada’s oldest state park, resides 49 miles northeast of the city. Esteemed for its nearly 46,000 acres of brilliant red Aztec sandstone outcrops nestled in gray and tan limestone, the park is home to ancient petrified trees dating back more than 2,000 years. The park’s name stems from sandstone formations which formed from shifting sand dunes 150 million years ago. These features often appear to be on fire when reflecting the sun’s rays. The park is home to a visitor center plus facilities for picnicking, camping and hiking. Travelers seeking to continue on the road can head nine miles north to Overton where they will find the Lost City Museum. This museum was created by the National Park Service to exhibit artifacts recovered from local prehistoric archaeological sites and features a Native American pit house and reconstructed pueblos visitors can step foot in. 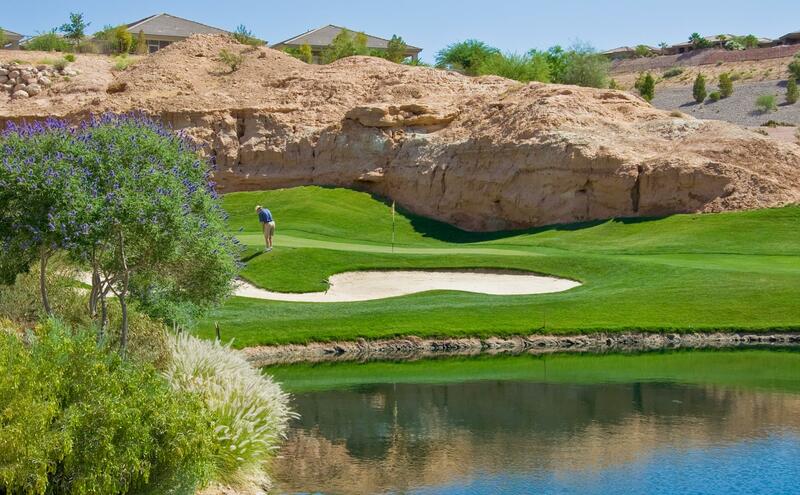 Groups itching to play some golf would do well to travel 42 miles northeast to Mesquite, a golfing mecca featuring a slew of top courses, restaurants and resorts. 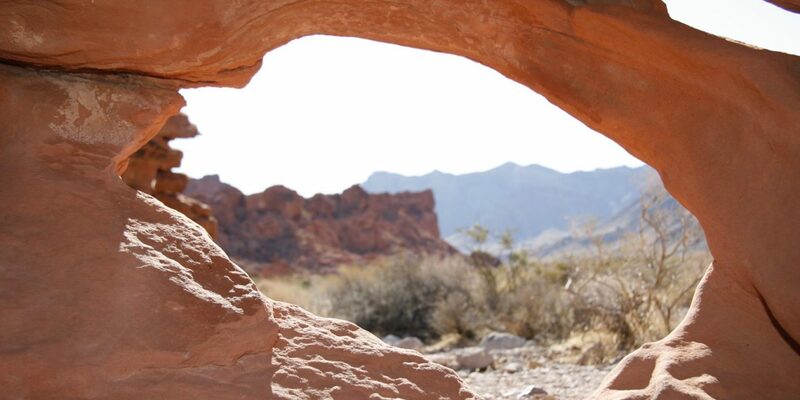 The scenic rock formations of Red Rock Canyon National Conservation Area are located a mere 16 miles west of Las Vegas. Red Rock Canyon contains a one-way 13mile scenic looped drive where visitors can admire the park’s sandstone peaks and walls that reach up to 3,000 feet high. Outdoor enthusiasts can take advantage of the park’s 26 numbered hikes and trails, where they will encounter Triassic fossils and various desert flora along with panoramic views of the park. Ten miles east of Red Rock Canyon is Spring Mountain Ranch State Park, a park that has historically been used as a working ranch and luxury retreat by numerous owners, including reclusive billionaire Howard Hughes. Visitors can explore some of the oldest buildings in Nevada, including an 1860s blacksmith shop and a sandstone cabin that was home to the park’s founding family. The park also contains hiking trails and picnic sites.